It’s true that without the moon, the earth would be a less romantic place. Mythical werewolves would never have been conceived, nor would we have a calendar based on the concept of the lunar phases. It has undoubtedly influenced human culture over millennia, but can the same be said for our neighbouring celestial satellite in geological terms? A seemingly insignificant lump of rock in comparison, it can be hard to comprehend that the moon has had such potentially significant impacts on shaping the earth as it appears today. But as it seems, a chain of events were set in motion from the instant the moon was formed which have not only left us here perplexed by it, but have left us here in the first place. The bulk of the moon’s responsibility for impacting upon the planet lies with its gravitation and proximity to the earth. Such a scenario allows for it to have a profound influence on the tides of our oceans, which in turn serves to slow the earth’s rotation and hurl the moon further away from us. The gravitational attraction of the moon is also the stabilising factor in a celestial battle between the large bodies of the solar system to throw the planet’s axial obliquity off-balance. The very fact that the moon is here in the first place tells of how fortunate the impact that formed it was, because were it not for that humble collision over 4.5 billion years ago, life on earth would be vastly different today at the very least (and conceivably even absent at worst). Its presence has also stimulated the application of mathematics and induced superstition in generations of humans, whilst providing total solar eclipses which are a universally rare, defining aspect of earth. The regular monthly cycle of the lunar phases has also been linked to mating sequences, hunting rituals and even the menstrual cycle, which 51% of the earth’s human population will experience for a large quantity of their lives. On top of all of this, the moon has defined the scenery of the night sky along with the stars and reflected the sun’s light to dampen its pitch black darkness since time immemorial, achieving omnipresence in a multitude of modern media. “The earth would be a very different place without the moon”. Qualified writers in the subject of geography are ready and waiting to help you with your studies. Having considered that this moon-forming impact would have been a major source of much of the terrestrial iron found on earth today, the size of our iron-nickel core would have been directly affected by it. The earth’s mantle chemically differentiated in an event called the iron catastrophe, throughout the first 500 million years of the planet’s formation. Extremely large quantities of iron succumbed to gravity and sunk to form the core. The innermost part of the earth was thus comprised of conductive elements, an iron-nickel alloy, which became able to generate electrical currents whilst rotating due to the coriolis effect in interaction with convection in the mantle  (which originated in the first place from heat escaping from the core). As a result, the roughly dipolar magnetosphere was conceived, giving rise to the radioactive Van Allen Belts by trapping charged protons and electrons in concentric bands surrounding the planet. 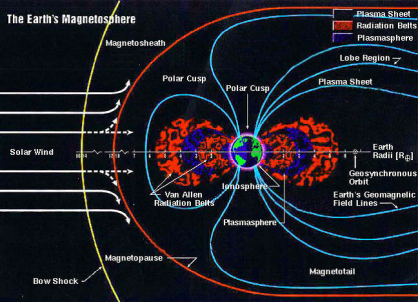 Figure 1 above is a scaled representation of the invisible magnetosphere and Van Allen belts surrounding the earth. Only discovered in 1958, the infamously ‘deadly’ belts have been unvoiced yet fundamental in the development of life on our planet. This is due to the particles’ ability to prevent horrific ionising radiation to reach the surface of the earth and effectively fry anything which ever endeavoured to exist on the surface. The magnetosphere itself would also have prevented any charged particles of solar wind from reaching the earth’s surface and causing similar damage. Amongst other variables, the strength of the earth’s magnetic field would be directly proportional to the size of the core according to dynamo theory,  and therefore we have the moon-forming impact to thank for a hospitable and agreeable planet. It’s therefore fair to say that without the moon coming into fruition, the earth may never have done either. There are more obvious ongoing effects of the moon on the earth today though, than there were back in the Hadean. It is fairly common knowledge that the moon has influence on the tides of our seas and oceans. Along with the sun, it produces the twice-daily rise and fall of the seas that boggled coastal dwellers for millennia prior to Newton’s formulation of the universal law of gravitation in 1687. Naturally, the gravitational attraction between two separate entities is inversely proportional to the distance between them. Thus, whilst the sun may be roughly 400 times as large as the moon, it is (coincidentally) around 400 times further away than it, and so exerts less influence over the tides. The area of the earth closest to the moon at any given point will see a protuberance of its oceans, as the water is attracted to the moon’s gravitational field. Simultaneously on the opposite side of the earth furthest from the moon, the crust itself succumbs to the lunar gravitation and is, in effect, marginally subsided, producing an additional oceanic bulge. Figure 2 (right) illustrates and annotates this gravitational phenomenon, by ever-so-slightly exaggerating the potential bulge of the tides! However, depending on the topography of shoreline localities and nature of continental slopes around the globe, the fluctuation can vary wildly between low and high tides. In extreme cases, this can affect the livelihoods of littoral inhabitants by dictating fishing schedules or putting their homes in danger, showing how the moon really is a foremost influence on making the earth the place it is. One such scenario is the extraordinary tidal range at the Bay of Funday in Eastern Canada, which can surpass 12 metres. Circumstances like this can occur upon the arrival of ‘spring’ tides (from the German verb springen, ‘to leap’, not from the name of the season) whereby the sun and moon align, causing maximum attraction in their direction and thus amplifying the height of the tides. Alas, the moon is a dictatorial authority on the tides of our oceans, and presumably has been since the oceans formed around 3.8 billion years ago. Swishing and swashing the oceans for eons of geological time has not passed by without its consequences however. 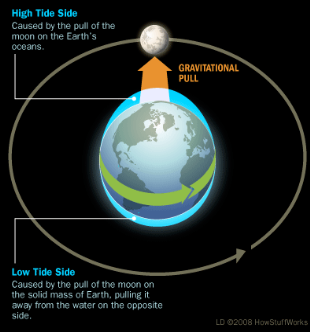 The moon’s gravity has created the tides on the one hand, whilst the rotation of the earth has slightly offset the location of them on the other; the actual location of the peaked tidal bulge is slightly ahead of where it would logically be, at the closest point on the earth’s surface to the moon. 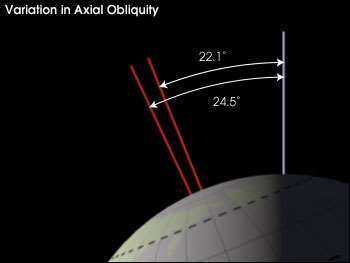 As a result, a surprisingly large amount of mass (the tidal protuberance of the oceans) is offset slightly from the closest locality on earth to the moon at that point in time, meaning that a certain quantity of the gravitational pull is no longer directly between the earth and moon, but at a 90° angle to it. Thus, torque is effectively created between the two planetary bodies,  and is often called ‘tidal friction,’ ‘tidal acceleration’ or ‘tidal braking’. This means that the presence of the moon causes our characteristic 24 hour days to lengthen by around 2.3 milliseconds every century. Taking Newton’s third law of equal and opposite reactions into account, the earth is also pushing the moon away by 3.82±0.007 cm per year as a result of this ‘torque’. Would all of this really mean though that without the moon, the earth would be a very different place? Extrapolating back in time to 4 billion years ago tells us that the moon was some 15,000 km closer. Tidal forces would have been gargantuan, with hypothesised constant tsunami waves ravishing the planet. Perhaps, this would not only have served to shape the landscape by causing erosion, but it would have also dictated when proportions of the land surface would have been settled enough for life to flourish. In addition, the day would have been much shorter, with the year being around 400 days long due to the faster rotation of the earth. Looking ahead to the future, the earth may very well slow until it reaches the same rotational speed as the moon, and then the exact same visage of the moon will always face the earth as in the Pluto-Charon arrangement on the outskirts of our solar system. This demonstrates how that over short periods of time, the consequences of the moon’s presence on the earth are subtle, nigh negligible, but are not to be taken lightly in the (very) long run. In conclusion, it’s obvious to draw from these analyses that the earth simply wouldn’t be the same without the moon, not only from a geological perspective, but from every perspective conceivable when its role in putting us here in the first place is considered. The moon is receding from our planet, and only time will tell if earth will succumb to life without it. "Effect of the Moon on Planet Earth." UKEssays.com. 11 2018. All Answers Ltd. 04 2019 <https://www.ukessays.com/essays/geography/effect-moon-planet-earth-5315.php?vref=1>. "Effect of the Moon on Planet Earth." All Answers Ltd. ukessays.com, November 2018. Web. 20 April 2019. <https://www.ukessays.com/essays/geography/effect-moon-planet-earth-5315.php?vref=1>. UKEssays. November 2018. Effect of the Moon on Planet Earth. [online]. Available from: https://www.ukessays.com/essays/geography/effect-moon-planet-earth-5315.php?vref=1 [Accessed 20 April 2019]. UKEssays. 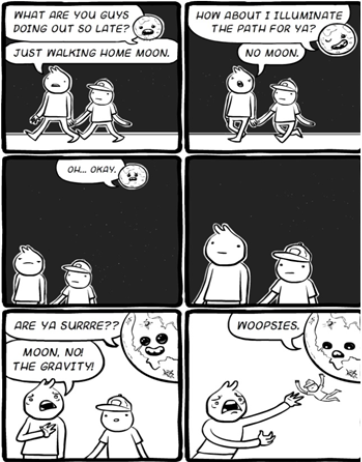 Effect of the Moon on Planet Earth [Internet]. November 2018. [Accessed 20 April 2019]; Available from: https://www.ukessays.com/essays/geography/effect-moon-planet-earth-5315.php?vref=1.